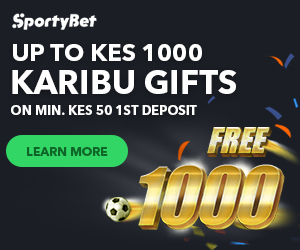 Sportpesa is the most popular sports betting platform in Kenya and betting on Sportpesa is a favourite activity for Kenyans of all ages who want to earn an extra coin.. While part of its success lies in the fact that it was quick to adopt the SMS-based betting and MPESA integration, there are other factors that draw punters to the Sportpesa bookie. Here are quick Betting on Sportpesa advantages and disadvantages you should know about. Provides access to many soccer markets, in addition to basketball, Tennis, and Rugby. Provides SMS notification for successful bets and, therefore, customers will easily know results of their bets without visiting the site. Has a weekly jackpot through which lucky players can win up to Kshs 30,000,000. Withdrawal methods are limited. Only MPESA supported for now. Sportpesa does not have any bonus – welcome, betting, etc. Besides the disadvantages, Sportpesa is the most known and used bookie in Kenya, and its name has been adopted to mean Sports betting. Sportpesa is also extensively involved in corporate activities to promote local football, including sponsoring the Kenyan Premier League, Gor Mahia FC, and AFC Leopards.